THIS IS A COURTESY POST ONLY, IF INTERESTED IN HANNA,PLEASE CONTACT VERA OR SANDY AT (818) 225-7815 OR casperdoghouse@rocketmail.com. 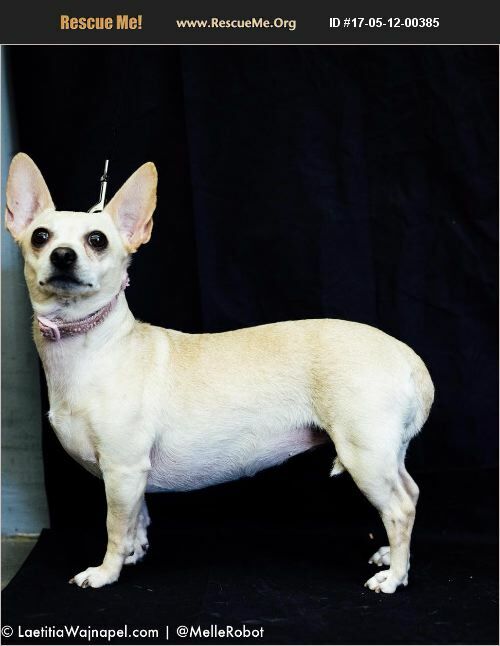 Hanna is a 6-year old chihuahua that weighs 12 lbs. Her owner died in an auto accident about 2 years ago and left 13 dogs behind. This kind foster family opened their home to all of them, 8 have been placed but Hanna is still looking for her forever home. She is very sweet, calm and loves to snuggle. She will bond quickly and make a great companion for someone retired or have a lot of time to spend with her. She is fine in a house or apartment setting and does not bark. She is spayed, updated on shots and micro chipped.